Biocyte Libra® is an Aphrodisiac food supplement based on EnoSTIM™, L-theanine, N-acetyl-Ltyrosine, niacin and plant extracts, specially developed for sexual desire in women. 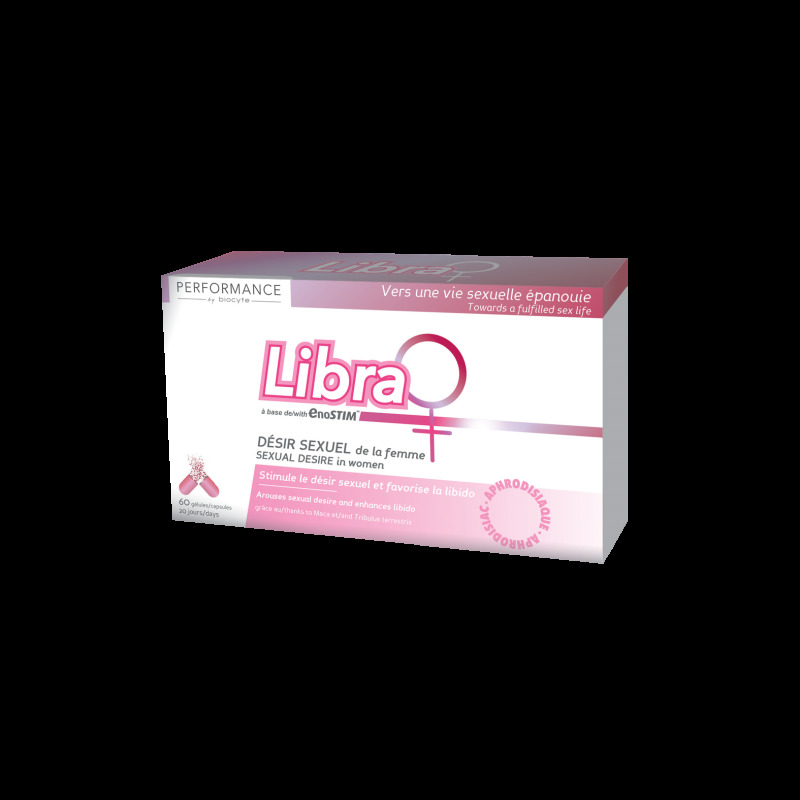 Biocyte Libra® is an aprhodisiac food supplement, specially formulated for sexual desire in women. STAGE 2: It supports physical and psychological efficiency thanks to Tribulus terrestris extract, which is also an aphrodisiac. - MACA & TRIBULUS TERRESTRIS: Arouses sexual desire and enhances libido. - For women experiencing a loss of libido and sexual desire. Food supplement based on EnoSTIM™, L-theanine, N-acetyl-Ltyrosine, niacin and plant extracts. Keep out of the reach of young children. Do not exceed the recommended daily dose. Food supplements should be used as part of a healthy lifestyle and should not be used as a substitute for a varied and balanced diet. Not suitable for children and pregnant women. Azorubine may have an adverse effect on activity and attention in children. Store in a cool, dry place away from light.